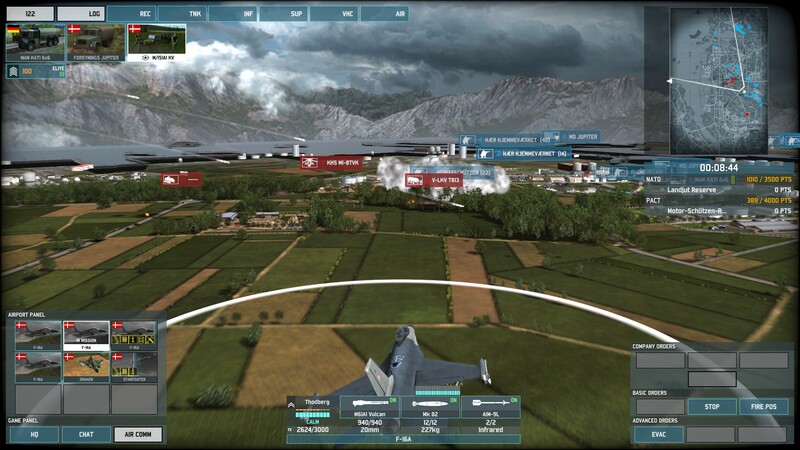 Welcome back to my Let’s Play of Wargame: AirLand Battle! 3. As at the end of the last instalment, the Swedish and Norwegian armies had recovered their fighting trim and were in position along an Oslo-Stockholm defensive line. What were the key lessons learned? 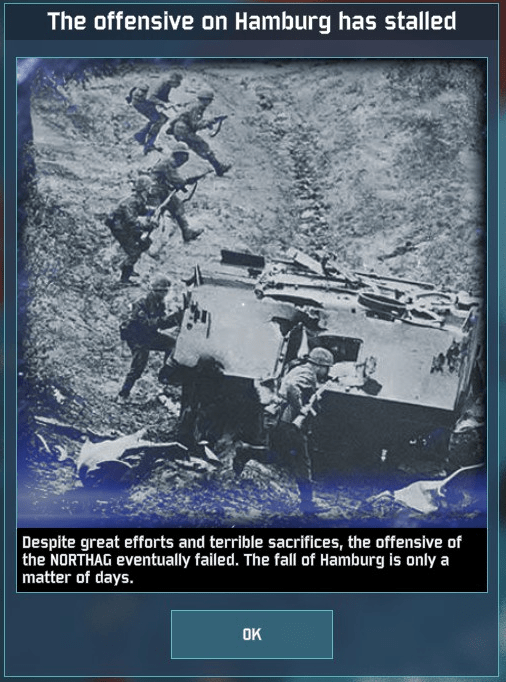 First – and I am indebted to this excellent guide from the official forum – that the objective in battle isn’t to kill so many of the enemy that the survivors run away, it’s to wipe them out (which will earn me the morale points I need to win the campaign). In game terms, that means (a) pinching off the enemy reinforcement sectors so they can’t retreat, and then (b) win the battle by hunting down their command vehicles. Unable to flee, the losers will surrender. In practice, the campaign is designed such that it is difficult to decisively win battles unless there is a large discrepancy (due to some combination of morale, initiative, positioning, and equipment) between the combatants. Otherwise the two forces tend to get stuck in a spiral of falling initiative (reducing the forces they can deploy) and increasing morale (making it harder for them to rout the other), broken only when the arrival of a fresh brigade tips the balance. 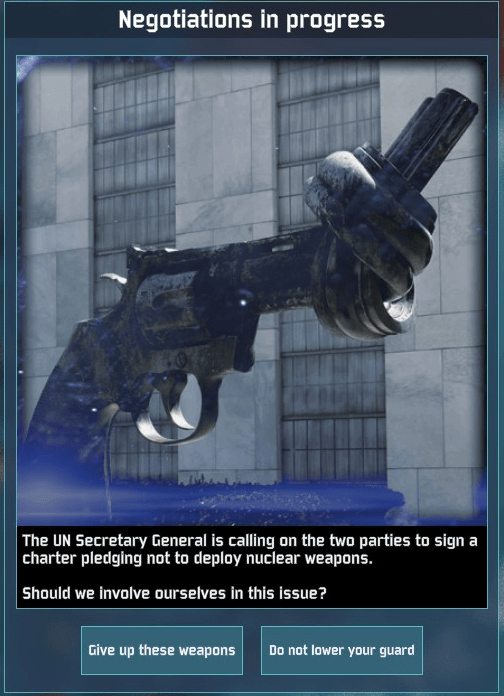 Other players have complained about this, and I can see both sides of the argument; I like what the developers were aiming for, but I do agree it could do with some reworking. For present purposes, though, what the rules should be is beside the point. The key is to focus on what the rules are, and if I need to engineer massive mismatches to win, then that is what I shall do. 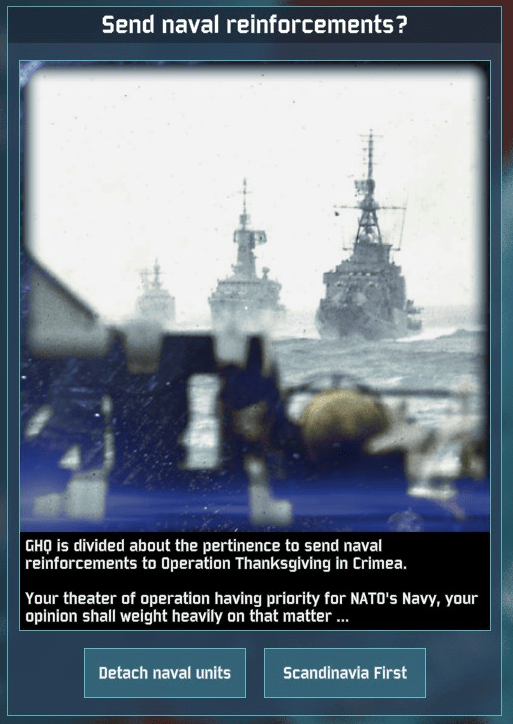 That means (a) ensuring each sector of the line has fresh brigades in reserve, so that they can polish off a weakened enemy, and (b) conserving my strategic buffs/debuffs (e.g. air raids) until the time is right. 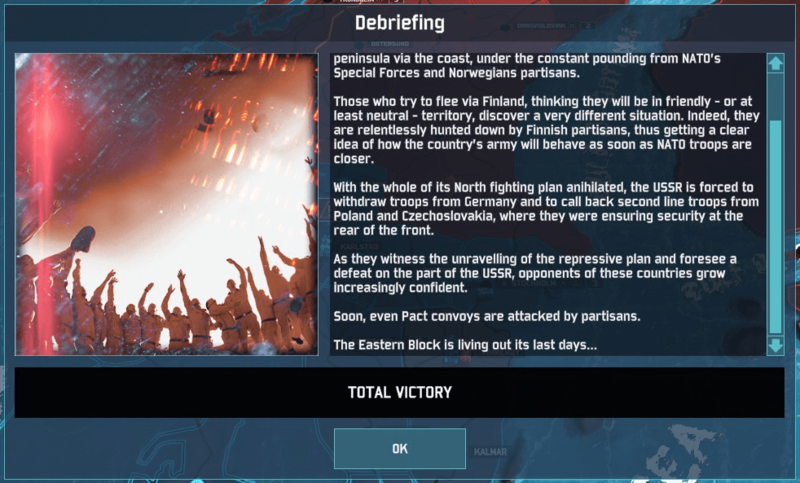 With that in mind, let’s see how the rest of my Nordic campaign plays out. Meanwhile, the Soviet army reaches Alesund, in Norway, and Gavle, in Sweden. That puts them within striking reach of my own lines. My forces defending Sweden are in top condition, but my Norwegian defences look a lot weaker. Further south, there’s an East German regiment kicking around in Kiel, Germany. 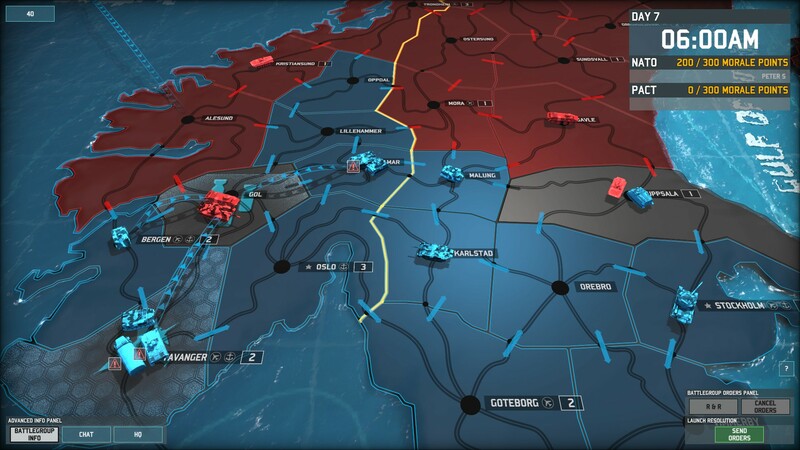 The East Germans could move north to resume the attack on Denmark, where my own troops are close to exhaustion. 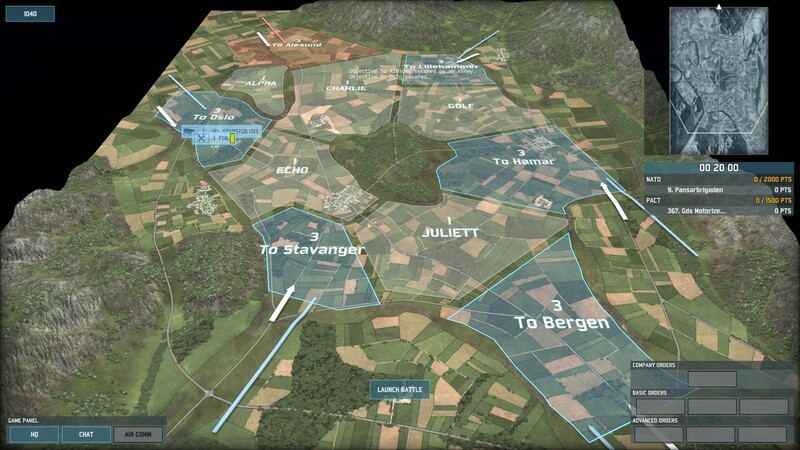 Thus, I spend 40 out of my 75 saved political points to call the British 1st Infantry Brigade into Stavanger. Once it arrives, it will be able to either move north (to the Norwegian front line), or south (into Denmark), as needed. To prevent the Pact from calling in an air raid and trashing the Brits’ initiative, I use one of my six Aerial Cover missions to protect Stavanger. The rest of my army, meanwhile, continues resting and refitting. After all, time is on my side. Another 30 morale points! That takes me to 200 out of 300 morale points required to win the game. To the north, in Norway and Sweden, the sitzkrieg continues for a couple more days. More and more Soviet troops show up along the front line, but make no move to attack. 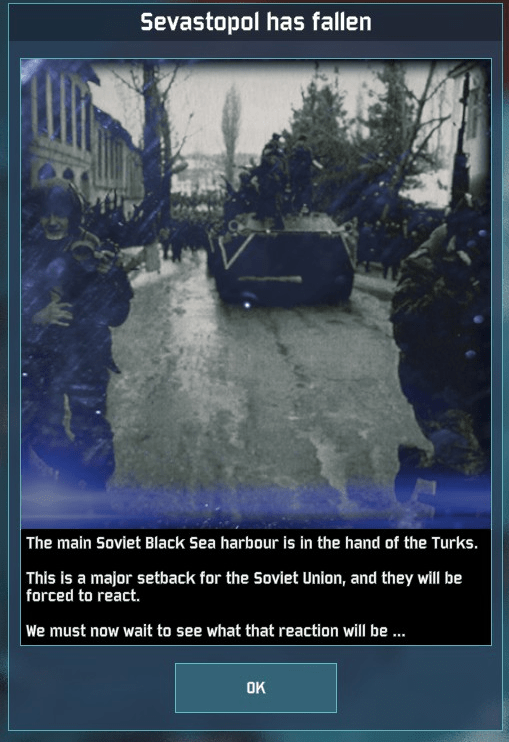 Soviet submarines delay the arrival of the British 1st Infantry, but only by one day; the Brits arrive and spend a turn resting up, and still the Soviet army doesn’t move. 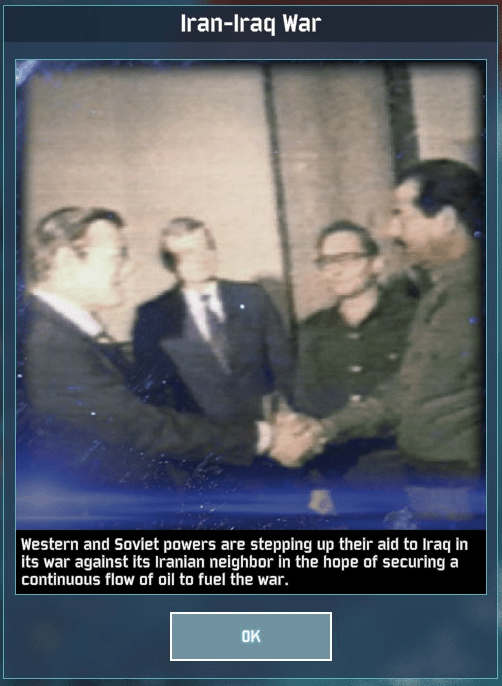 During these turns, perhaps the most interesting developments are the random events – both for the choices they present, and for the sense they give me of being part of a wider war. Here’s one such choice. 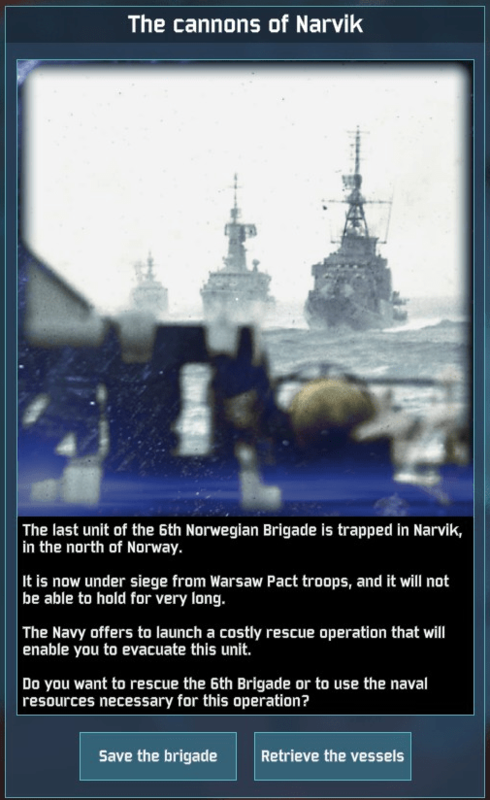 Do I order the rescue of a besieged Norwegian brigade, which will then become available later on? Or do I trade the Norwegians’ lives for a few more naval strikes? Real commanders have to be hard of head and of heart. Playing a video game, I don’t. I green-light the rescue. 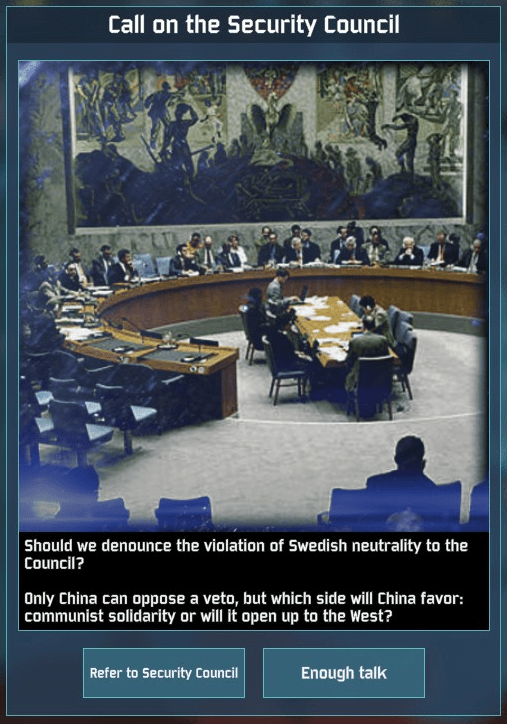 I choose to pursue the matter in the Security Council. Gaining 10 political points is no big deal – I earn twice that in one turn – and I’m really curious about what may happen. In Uppsala, eastern Sweden, the Swedish 10th Mek Brigaden fights the Soviet 129 Guards Motorised Regiment. It’s an interesting match: both sides have maximum initiative, meaning large armies on the field, plus access to some of the most powerful units in the game. The Soviets bring T-80 tanks; meanwhile, the Swedish 10th lacks artillery and modern tanks/aircraft, but includes Kustjagare special forces, anti-tank teams armed with the devastating RBS 56 missile, and anti-air teams with the RBS 70 missile. Murphy’s Law being what it is, I make a dumb mistake: there’s a crucial bridge crossing on the map, but not only do I send insufficient forces to hold it, I somehow forget to secure the closest spawn point, meaning I can’t get reinforcements there on time. The battle ends in a draw, but I can’t say I’m happy with my performance. Since I held a deployment zone (“To Oslo”) next to the AI’s spawn (“To Alesund”), I thought I could knock one or both regiments out with an aggressive rush. Unfortunately, what worked against depleted, low-initiative troops and lightly armed paratroopers/marines did not work against the cream of the Soviet army. It especially did not help that the Soviets had higher initiative (plus, probably, AI resource bonuses) and hence, more deployment points than I! With hindsight, given (a) the mismatch of forces, and (b) the fact that I began with map control, I should have played defensively, abandoned any hope of a knockout blow, and simply turtled in order to buy time. 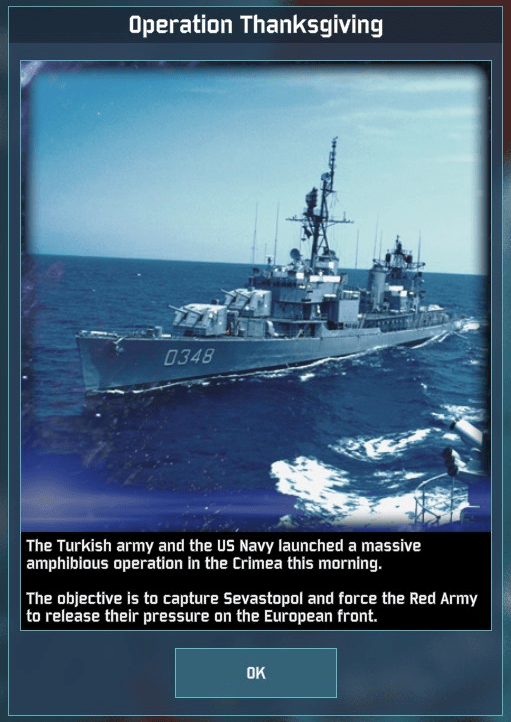 I’m playing the campaign over a number of real-life days, and around this time, a newly introduced bug apparently sometimes prevented the computer from deploying planes! I’m not sure if the bug extended to the campaign or only affected skirmish/MP (I saw AI planes in at least one battle here), and it was fixed a day or two later, but it’s something worth bearing in mind as you read this section. 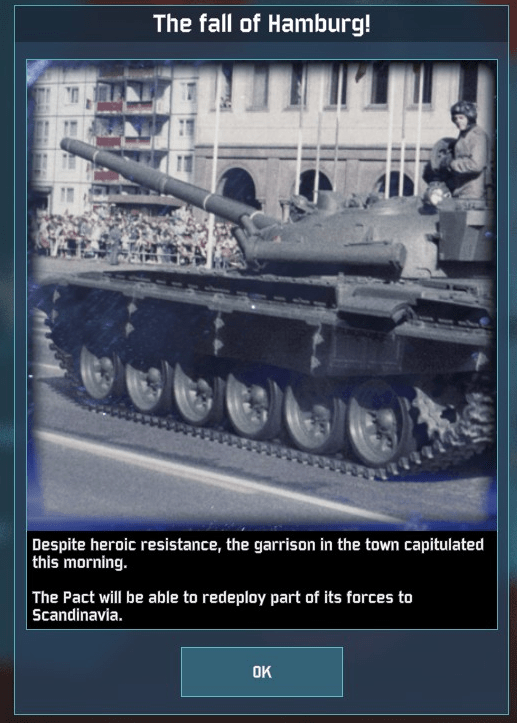 As Day 7 begins, the main body of Pact troops has finally joined the battle. More Soviet reinforcements are on the way. But in crisis, I scent opportunity. The key is that I have 200 morale points out of the 300 I need to win. I am currently fighting two Pact regiments (in Aarhus and Uppsala), and there are two more in Gol, within easy striking range. Assuming that I can net 30 morale points for destroying any one of those regiments, that means I’ll win the game if I can bag all four. The question, then, is how to pull that off. 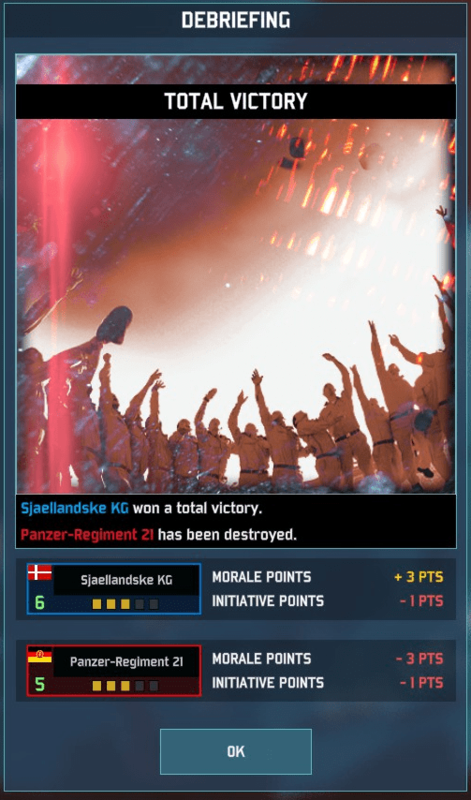 In Aarhus, the Danish Sjaellandske KG and the East German Motor-Schutzen Regiment 9 are still fighting, but with the Danes’ initiative advantage (3 vs 0), I’m pretty sure they can wipe out the East Germans this turn. If not, I have a fresh brigade, the Swedish 7th Pansarbrigaden, waiting in Copenhagen. So no worries there. In Uppsala, I highly doubt either the 10th Mek or the Soviet 129 Guards Motorised Regiment will be able to win decisively. However, I have two more brigades that can intervene, one Swedish brigade in Stockholm and one Norwegian brigade further to the west. 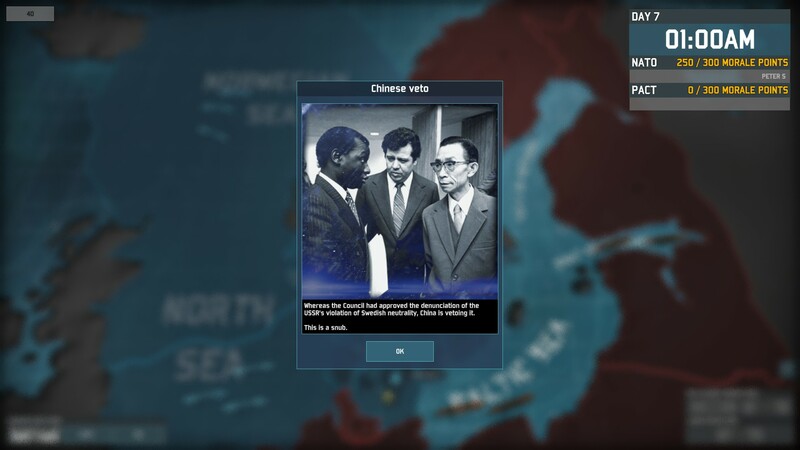 For now, I do nothing – I want the 10th to grind the Soviets down a little further before I send in my reserves – but I plan to counterattack when the time is right. 1. Land the US Marine 4th MAB in Alesund, cutting off their retreat. 2. Hit Gol with an air raid on the strategic map, which will reduce their initiative by 2 each (taking them from 4 to 2). 3. Swarm Gol with my three adjacent, combat-ready brigades: the Norwegian 4th Brigade, the British 1st Infantry in Stavanger, and the Norwegian Brigade Nord. I’m not sure how a 3 vs 2 fight will play out, but assuming 6 battles take place (each of my three brigades vs each Soviet brigade), it should go like this: the first brigade to arrive will fight them at initiative 2, and after the battle, the Soviets will be left at initiative 1. The second brigade will fight them at initiative 1, and leave them at initiative 0. The third brigade will fight them at initiative 0, and hopefully wipe them both out. The Norwegians’ equipment isn’t the best, but given that my brigades all have high initiative, I’m confident of success. There are risks to this plan; for instance, the AI could use an Aerial Cover mission to cancel my air raid; or the two regiments in Gol could move out (perhaps into undefended Oslo – one of my objective cities!) before my attacking force arrives. But on the whole, I’m comfortable with the calculated risk. I opt to give up the ships. My plan doesn’t rely on naval support, and again, I’m curious about what the effects will be. However, the fighting in Denmark and Norway goes exactly according to plan. In Denmark, the Sjaellandske KG finishes off the East Germans in Aarhus (+20 VPs, taking me to 220), and for the rest of the game, this front remains quiet. No complaints from me – I must have seen the Aarhus map a dozen times! While I fail to completely destroy the 362 Guards, I pummel their morale – and seal off the escape route for the two Soviet regiments in Gol. The first brigade into Gol, the Norwegian 4th, does a miserable job in combat; its outdated gear simply cannot stand up to the Red Army. But the 4th does succeed in running around the map, capturing key reinforcement points so I can use them in future battles. Next up is the Brigade Nord, which in its fight against a single Soviet regiment again fails to score a knockout blow – but which extends my control over most of the map. Last into battle is the British 1st Infantry Brigade. And after so long commanding the lightly armed Scandinavians, having (a) modern British tanks and helicopters, which (b) get to deploy over most of the map, is an absolute power trip. When the dust settles over Gol, the British have annihilated the 367 Guards Motorised (+30 points, taking me to 250 out of 300 needed to win). The 227 Guards Tank is still present, but has initiative 0 and no way to retreat. 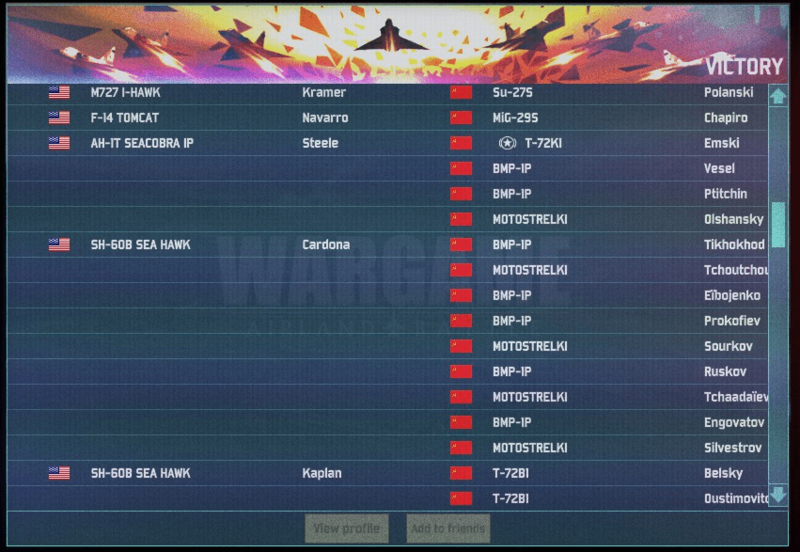 Against three high-initiative NATO brigades, it doesn’t stand a chance. 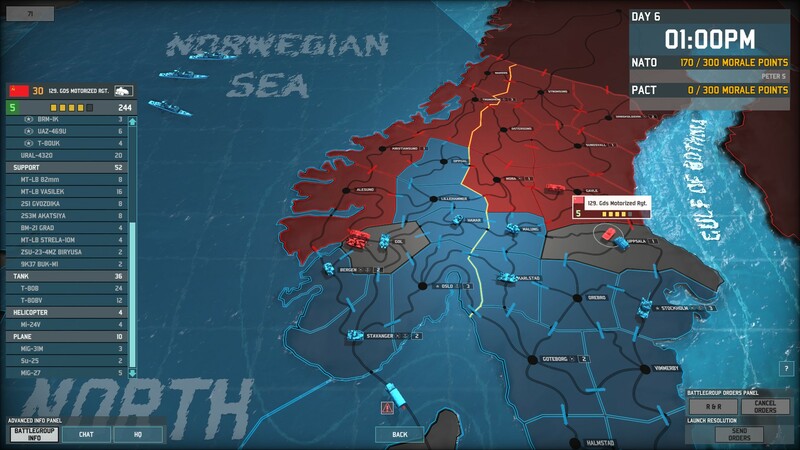 As Day 7 comes to an end, the Soviet front line in Norway is crumbling and Denmark is secure. NATO stands within a hairsbreadth of winning the campaign. My coup de main has succeeded. I spend the last two days of the campaign mopping up. The developers fix the plane bug, and the situation deteriorates in Sweden, when my attempt to use a Norwegian brigade to relieve the Swedes in Uppsala backfires horribly. 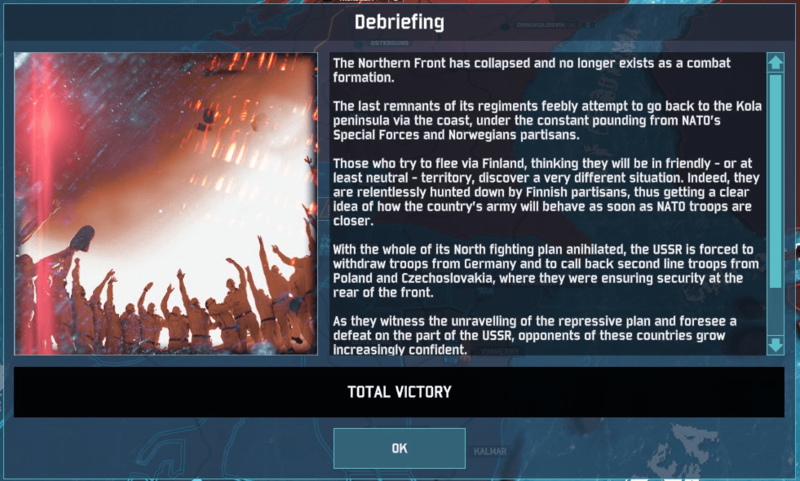 In two battles, the Soviets are able to utterly destroy the Norwegians, giving them their first (and only) morale points of the entire game. Meanwhile, my attempt to attack the Soviet beachhead south of Stockholm bogs down; I end up nervously flying Canadian troops into Stockholm, just in case the Swedish army falters and I end up having to defend the city. What could that be? I never find out. 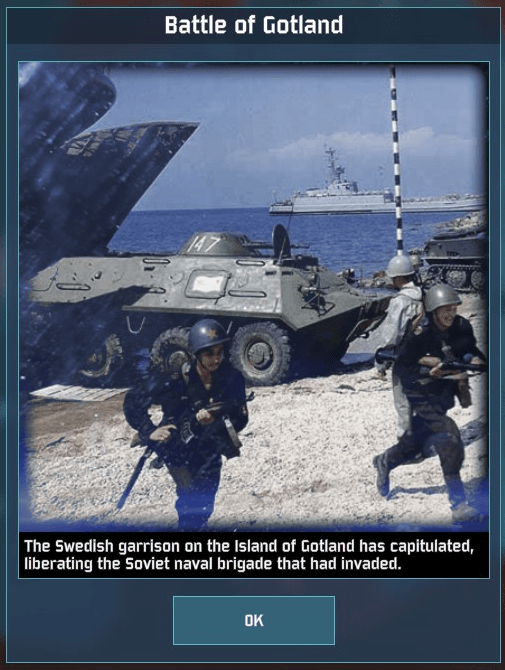 On Day 8, the British finish off the Soviet regiment in Gol (+35 morale points, taking me to 285/300), and the US Marines drive the Soviets out of Alesund. 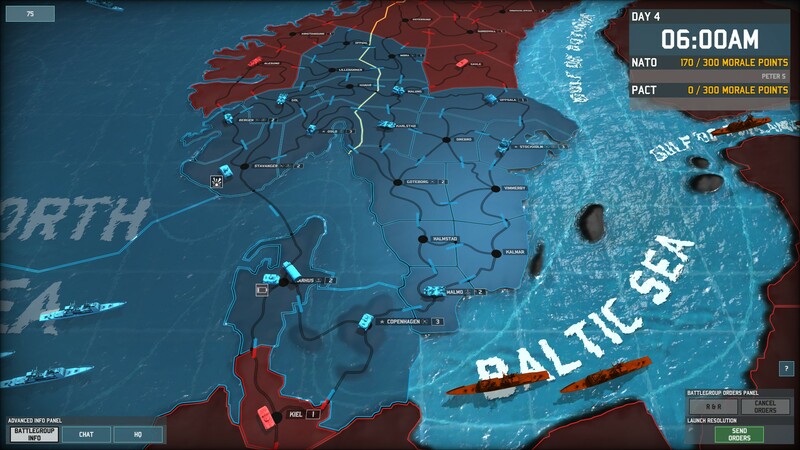 The routed Soviets fall back to Kristiansund… but routed units will be utterly destroyed if they’re attacked the following turn, and that is exactly what happens next. On Day 9, the marines push forward into Kristiansund; the Soviets surrender without a fight, netting me 30 more morale points… and taking me to a total of 315. And with that, the War in the North is over, and so is this Let’s Play. Thank you very much for reading along! 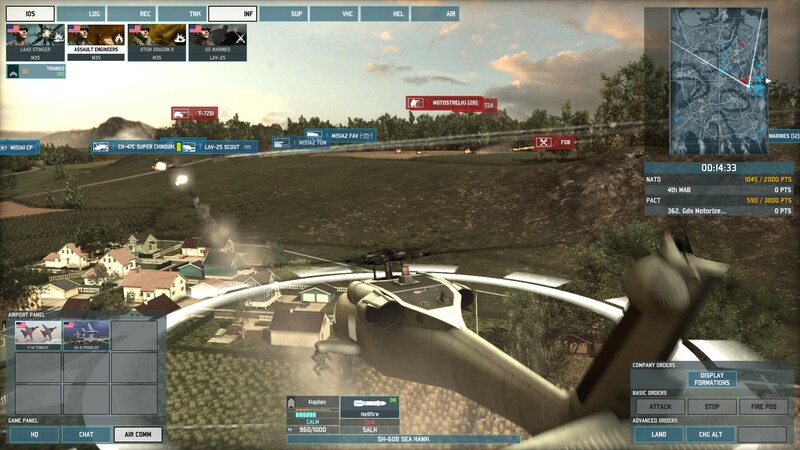 I will post my final thoughts on Wargame: AirLand Battle soon, and I hope I’ll continue seeing you around the site. The above comments are based on a copy of the game supplied by its publisher, Focus Home Interactive. 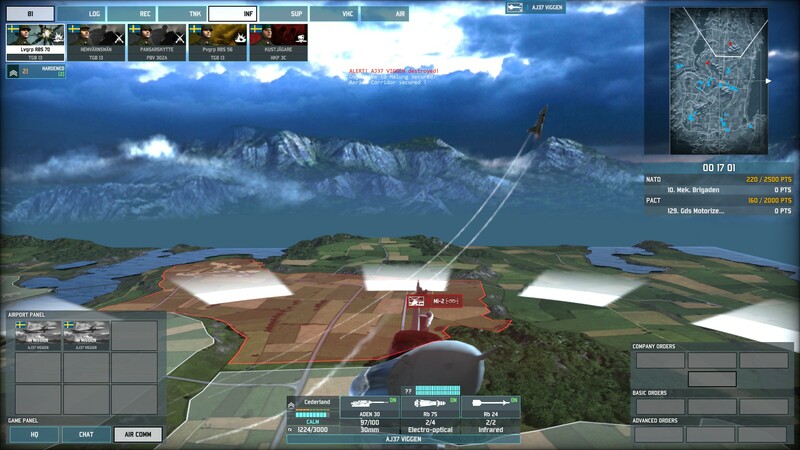 Posted in AARs / LPs, Games, PC Games, Strategy Games and tagged wargame: airland battle.